Unfortunately, many Georgians and Alabamians will find themselves in a situation post-arrest that will require legal counsel and guidance. Most individuals may not know what to discuss or ask a lawyer when speaking to one for the first time and the task can be daunting. 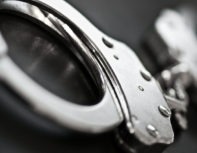 At Phillips & Sellers, we want you to be prepared with a set of questions to ask your lawyer when arrested, no matter what the charges of arrest may have been. Many law firms offer your first consultation free, including Phillips & Sellers PC, Attorneys at Law. In the majority of cases, there is no initial consultation fee. A client can come and meet with one of the attorneys for thirty minutes free of charge. If your situation is one that requires a consultation fee, you will be told the amount of the consultation fee at the time you schedule the appointment. 1. Have you had a similar case and are you familiar with these types of charges? – No matter what the charges against you, it is always helpful to have an attorney that has experience with your case or a case comparable to yours. 2. Client Action: What should I do? – Often in cases, there are actions the arrestee can take to help their situation. Whether it is enrolling in classes, gathering documentation, maybe even counseling. Whatever it maybe ask your attorney how you can help the process, it is a team effort. 3. What is the strategy? – It is essential that you, the client, knows the plan for your trial. Knowing what defenses are best for your case and whether a plea bargain should be taken when offered. 5. How much is this going to cost? – While every trial is different, knowing your financial responsibilities to your attorney is imperative. Ask things such as “How long is the trial expected to last,” “Will the witnesses time be costly?” and any other monetary questions up front prior to trial. So if you find yourself arrested or know someone that has recently been detained, please stay calm and seek the guidance and professional knowledge of Phillips & Sellers, P.C Attorneys at Law. Located in the heart of Midtown Columbus, Georgia and with over 22 years of experience. Here at Phillips & Sellers, P.C Attorneys at Law, we provide legal services in Columbus, Georgia and the surrounding areas.